The Song of Hiawatha is an epic verse of life in America before the coming of Europeans, written by one of our country's most notable poets. 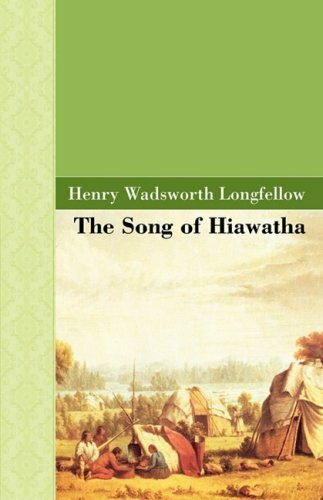 In creating the story of Hiawatha, Henry Wadsworth Longfellow used as his inspiration early ethnographic research into the life and folklore of the Great Lakes tribes. The poem is also undoubtedly the product of a European-American imagination, with its unabashedly romanticized look at a vanished way of life. First published in 1855 to critical acclaim, The Song of Hiawatha can be enjoyed both for its striking poetry and its interpretations of traditional Native American legends.